When I titled the blog “…the producers”, I wasn’t referring to the musical or movie. I’m talking about the folks behind the scenes. The people who make us voiceover people sound that much better! Today’s post is just a quick one to say “THANKS !” to the producers. They’re not just button pushers …often they’re talent directors, client liaisons, script editors, as well as skilled editors. 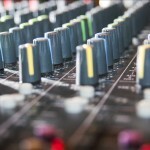 I work with a multitude of commercial and or audio producers every week…and they’re all unsung heroes! In my other life (I have a few) as an audio editor, I am fortunate enough to work in a totally amazing studio, I think I’ve shown off pics of this studio before (past blog). I love working in this studio both as an editor and a voice talent. But in saying that, the studio doesn’t have to be the Taj Mahal, as one colleague called my studio, to be a great studio…it comes down to the skill behind the desk. So thanks folks.. thanks for making me sound my best and thanks for editing out all those expletives, burps and bodily noises. Next week, some more demos and stuff I’m proud of… ’til then, have a great week. Even after your disclaiming first sentance, I was still hoping for a little Spring Time for Hitler… And Germany.